Many women of child-bearing age buy medications over-the-counter for a variety of disorders. Whether planning their pregnancy or already pregnant, they want to know if these non-prescription drugs are safe for unborn babies. This book helps answer that question for consumers, and for doctors, nurses, pharmacists, and students as well. 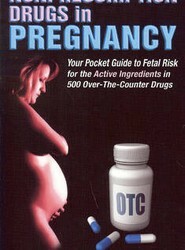 Many women of child-bearing age buy over-the-counter medications for a variety of disorders. 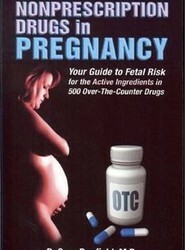 They want to know if these non-prescription drugs are safe for unborn babies. This book helps answer that question for consumers, and for doctors, nurses, pharmacists, and students as well. Will Synthroid harm my unborn baby? Does Accutane cause birth defects? Is it okay for my pregnant wife to be taking Lithium? Are you pregnant or planning a pregnancy? 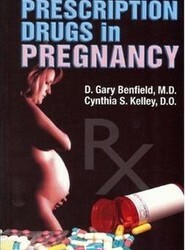 This book can help you answer questions like these for more than 300 drugs that may be prescribed during pregnancy.